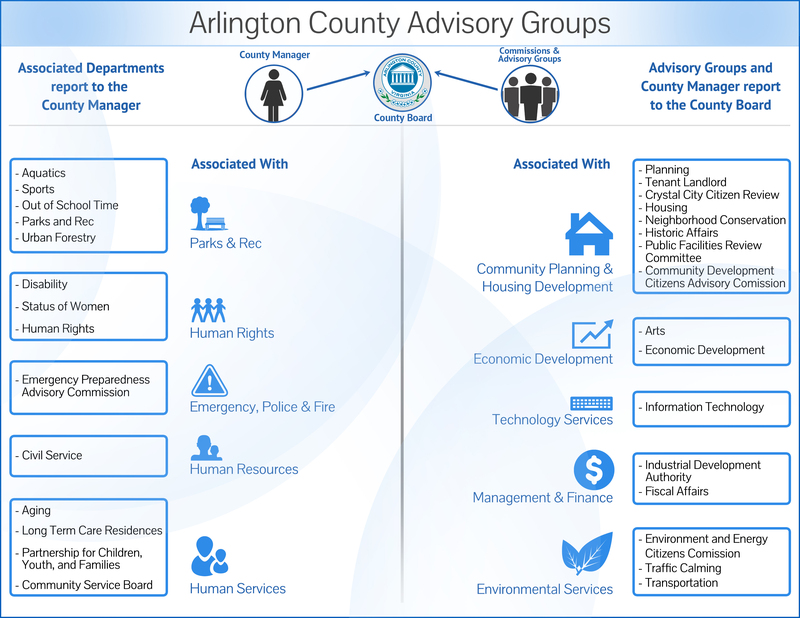 The Form Based Code Advisory Working Group (FBC AWG) includes members from civic associations, Columbia Pike Revitalization Organization (CPRO), several advisory commissions and the Zoning Committee of the Planning Commission (ZOCO) as well as area developers. Meetings generally last two hours (unless otherwise specified in that month’s agenda), and occur once a month. On occasion, there are other community meetings (usually related to redevelopment proposals) where we encourage FBC AWG members to attend and participate with staff. Depending on where they live, a typical FBC AWG member can anticipate attending one of these per year.